"Taste The Flavor and Tell Your Neighbor!" Welcome to The Sicilian Deli Website! The Sicilian Deli opened the doors in 2003 and continues to grow right into the New Year. 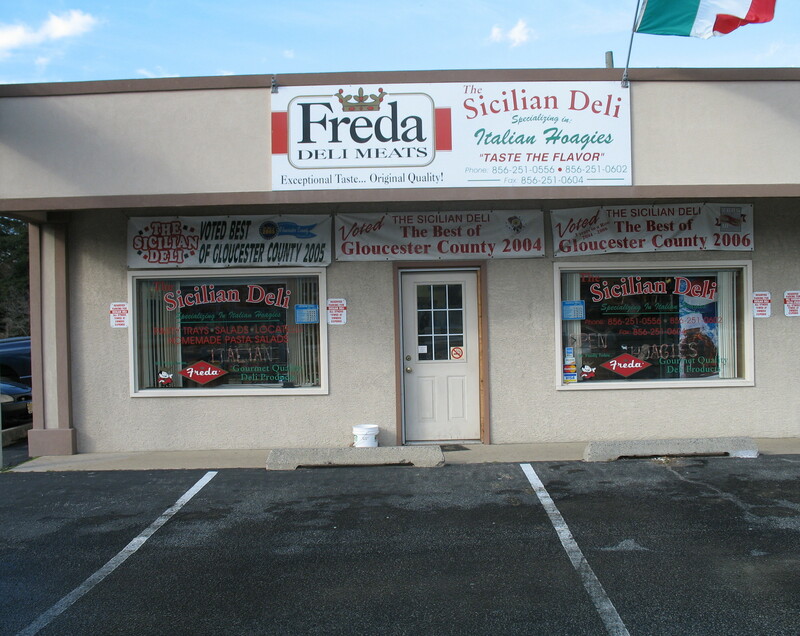 The Sicilian Deli has been VOTED Best of Gloucester County by the Gloucester County Residents & Businesses. All Hoagies are freshly sliced upon ordering. We strive on freshness, that is why we are known as THE BEST. Specializing in Italian Hoagies, Imported and Domestic Delicacies with Homemade Salads, keeps us the talk of the County from City Hall to the Residents. We would like to thank you all for your support. We will continue to do THE BEST we can with the help from our regular and new patrons. We would like to be a landmark and household name for many more years to come. * Feel free to call and reserve your bread. Not Responsible For Typo Graphical Errors and Prices Subject To Change Without Notice.